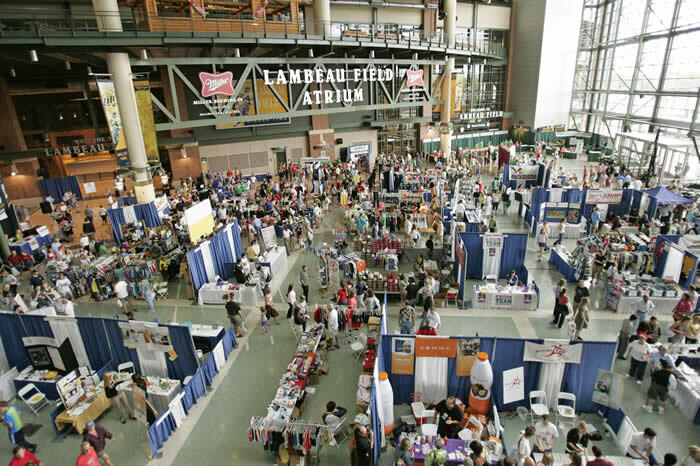 Tis the season for Preparedness Fairs cropping up in regions all over the U.S. However, in nearly all instances, organizers express dismay that their event was not as well attended as they had hoped. 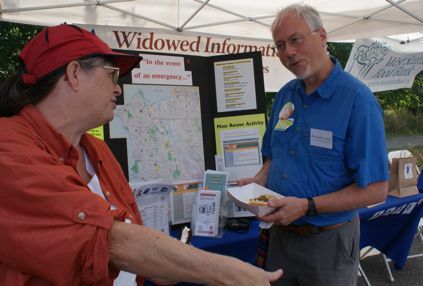 The fact of the matter is, unless you do a really great job marketing, the only folks who attend a Preparedness Fair are the folks who are already on board. It’s easy for them to slough off the event as “just another same old, same old.” So, what’s a fair organizer to do? I’ll tell you. First of all, be CLEAR on what the goal of your event is. With such a broad range of topic possibilities, you’ll find the event will be much more successful and much easier to promote and organize if you have a specific theme in mind. Don’t attempt to tackle all things preparedness. You’ll end up doing nothing well. Instead, for example, focus on a niche area of learning and education that you want to promote. Recently I had the occasion to compare the success of a “throw everything against the wall and see if it sticks” kind of event to an event that focused solely on three preparedness topics. There was a much better quality of education at the niche focused event. A focused niche ALSO helps to attract seasoned preparedness persons as well. The more focused you are on the topics, the more successful you will be. Focus conveys confidence and skills. 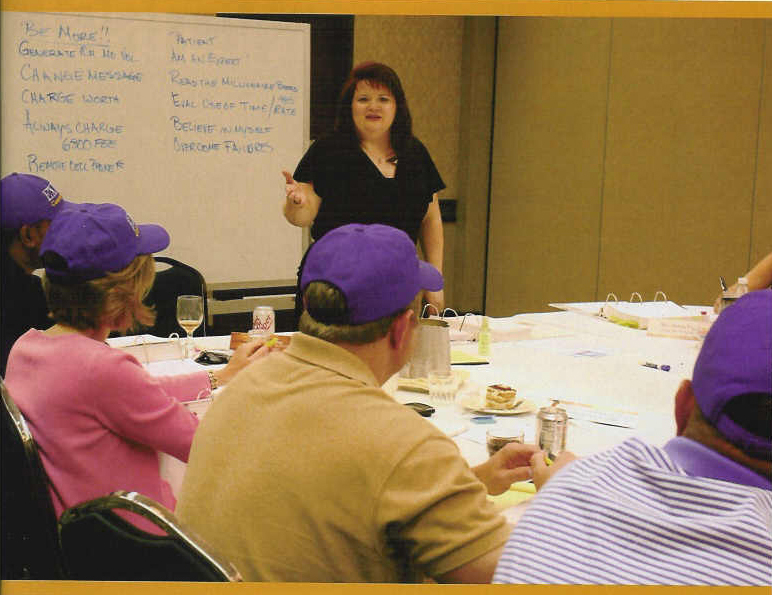 It’s vital that you pass along this type of atmosphere to your attendees. Assuming that your purpose is to educate, then be sure that you focus heavily on that aspect. Be sure that the information you dispense is accurate for crying out loud! I recently attended a fair in which 5 out of 7 of the presenters passed on grossly inaccurate information. It’s this home-spun reputation for error that deters more serious persons from taking advantage of events that would otherwise be incredibly beneficial. This is yet another reason why your education choices should be focused. It’s much easier for you to master the topic and accuracy of a few rather than a free-for-all encyclopedia of preparedness information. Also, don’t confuse your message of education with the distractions of unrelated vendors or presenters. If it were me, I would shy away from sales vendors and focus more on information in order to promote a quality feel instead of a State Fair/late night infomercial feel. At an event I attended earlier this year, there were a great deal of vendors sharing their wares for preparedness efforts, and then there were also some Mary Kay Salespersons, an auto sales person, and a cake decorator. The atmosphere felt so confused and disjointed—not exactly the kind of emotion that you want to have associated with the topic of preparedness. After all, it’s already a bit overwhelming to so many. Be sure that you don’t cut any corners on the quality of information you share. Line up your instructors/presenters early. There are a couple of different strategies that you’ll want to employ as you select your various topic educators. First of all, try to get some new blood involved each time an event is held. Assign a VERY specific topic, give guidelines of do’s and don’ts, and follow up at least 2 weeks prior to the event. The nice thing is that with a new presenter, you don’t have the downfall of any preconceived notions as to whether they are good or poor presenters to your potential attendees. And a new presenter usually does a great job in endearing their family and friends to participate as well for moral support. If you’re going to utilize the expertise of experienced instructors, you simply MUST request their assistance at least 8 weeks ahead of time. Frankly, it’s a bit insulting to be called or e-mailed the day prior to an event and asked if I would like to come. Expert instructors help to draw a good number of persons to a fair as well. If it were me, I would make sure that I had at least one “recognizable name” in the community in order to anchor interest in the event and to leverage the attendance for the other presenters as well. An established presenter will benefit your event by drawing on their regular followers who enjoy learning from them at various events. So don’t overlook this strength. I also recommend that you request that all presenters be dressed in a professional and positively presentable manner. I once listened to a presenter who did his entire presentation slouched comfortably in a chair on a stage with a big cowboy hat hiding his face. What’s worse is that he was in a church. His refusal to remove his cowboy hat at the insistence that it “was his branding” caused some persons to leave the event in protest. Clearly his hat was more important than his desire to educate—not a great message. A presenter should always be dressed a step above their audience. The stigma of preparedness already suffers sufficiently without something as easy as an aesthetic getting in the way of a valuable message. Eliminate the scarcity mentality when promoting the event. “Go big or go home” is what I always say. Time and time again I have been asked to present for a church or community group who desires to keep their event “private” in order that they are not overwhelmed with attendees. Come on people! This is the topic of preparedness! Having too many people at one of these events would be the BEST problem I could possible think of! Unfortunately, I have only been at one event in which there was standing room only and that was for one of my Coupon Training Boot Camp class. I’ve never seen refreshments run dry or not enough chairs. I feel that this topic is vital enough to an entire community that one should plan on reaching out as far as possible. Remember, preparedness saves lives folks and brings peace. Do you really want to purposefully leave anyone out of that opportunity? Deliberately use as many methods of promotion as possible and do your best to be aesthetically pleasing. E-mail, Facebook, flyers, phone calls, yard signs, street signs, classified ads, Craigslist, etc. There are way too many FREE ways to market an event for any event to go poorly attended. I once threw a Pampered Chef party in my home the weekend of a serious college football game. By using all of the marketing arrows in my quiver, I made the information friendly, PERSONABLE, inviting, and specific. As a result, I invited 40 persons and I had 42 persons show up—something that rarely happens for such an event. Rule number one of marketing—never leave the back side of a flyer blank. It’s valuable real estate—so use it. Take the time to share as much information as possible to interest persons to attend. Rule number two of marketing—say what you’ve got to say. A flyer or an e-mail isn’t limited by a certain number of characters. Don’t be concerned that folks won’t read it. If they are interested, they will, and no amount of words in an e-mail will deter them. If they aren’t, they won’t, and no FEW words in an e-mail will change that either. Rule number three of marketing—be personable! People don’t come to learn from stale, pieces of paper. 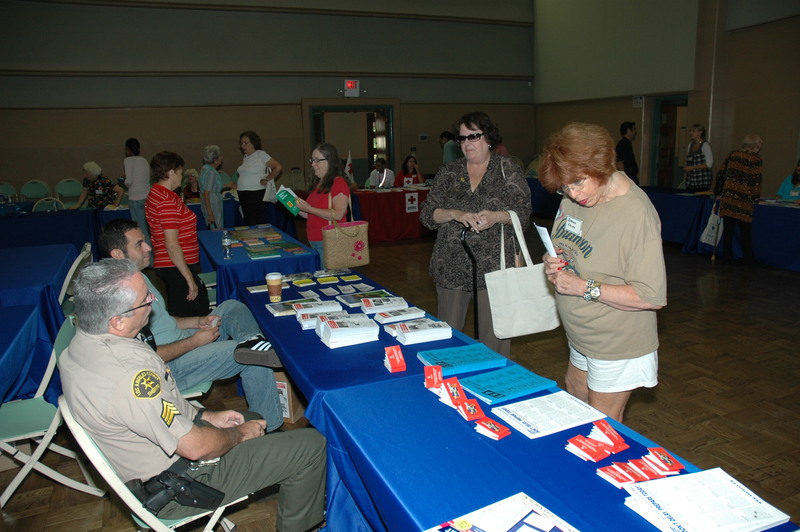 Your marketing information needs to have a personality and convey the spirit and emotion behind your preparedness fair. If you’re throwing the fair because you would like to see a more united community, then SAY SO. If you’re holding it because you feel that folks need this information, then SAY SO. Recently I had a lackluster, bright yellow, one-sided preparedness fair flyer put on my door step for a local event. Not only was it missing vital information such as “who, what, where, and when” but it didn’t even provide me with any incentive to go. No assurances of quality education, a good time, refreshments, no topics listed—nothing. In fact, it assumed that I would even know what a preparedness fair is. Big mistake. Take time with your flyers to make them presentable and professional looking. Again, remember you’re constantly fighting a negative, half-fast stigma when it comes to the topic of preparedness. Putting seriously abbreviated, lame, poorly printed flyers on your neighbors doors doesn’t do much to counteract that stigma, folks. Preparedness education should appeal to all persons. A poorly done flyer may not do anything to deter your committed attendees, but it sure won’t do anything to attract anyone else. It wouldn’t hurt to make a list of your presenters and a summary of what they are teaching. Highlight the attractions. Continue to assure attendees that it’s worthy of their time and interest. If you don’t even believe it, then why should they? Sure it takes a few more minutes to convey this kind of information. But would you rather work 10 minutes for a bunch of no-shows, or work 30 minutes for a full house? Rule number four of marketing—people need to be reminded. Tell them early and tell them often, folks. You simply cannot expect to plaster a neighborhood with flyers the day before an event and expect people to show up. Also, you simply cannot rely upon your “famous factor” or the “friend factor” to get people to show up. It doesn’t matter how many people you tell or how many people already love you. If you don’t remind them early and often and with a consistent level of enthusiasm, they will let the rest of their busy lives crowd out your event. There. That should help you have a more successful event and feel more focused on your event details. I hope it’s a great season for all of you Preparedness Fair organizers! Copyright Protected 2010, Preparedness Pro and Kellene. All Rights Reserved. No portion of any content on this site may be duplicated, transferred, copied, or published without written permission from the author. However, you are welcome to provide a link to the content on your site or in your written works. My goodness, I was just thinking that we need to have a preparedness fair, and I have no idea where to start,but this article is a huge help! Thank you. I wondered what you would have to do to organize a preparedness fair. It sure sounds like a lot of work and I admire all who do it. Maybe I could get a few people I know to go in on it with me. Thanks. As usual, great suggestions you provide. It struck me that they could be applied to just about *any* kind of fair or party someone wants to throw, from baking, to jewelry, to preparedness. At times like these, your gift for marketing certainly shines through! You seriously rock! I totally agree with you 100% on everything you wrote in this post. I am in charge of our Stake's Preparedness Fair coming up this summer, and I have just passed on the link to this post to all those on my committee. We've been working hard on getting prepared for this fair, and it comforts me to see in ink (or in this case computer) what I've been envisioning. Thanks for the tips. I have been to some really good preparedness fairs, and to some really bad ones. I think it is important to have information for beginners, and also info for those who have already done a lot of preparing. Also, the information should be up to date. These are all good suggestions that you have given us Kellene. The more that are prepared, the better off we all are. This is GREAT! Our ward is starting to plan a stake preparedness fair for the fall. This info will be invaluable!